Meats, ceviche, music, dance and architecture are some of the top attractions that lead me to visit South America. The countries that make up the continent all have something different to offer. Whether you’re near the Caribbean coast scuba diving, hiking up the Andes mountains in the south, or riding down the Amazon River, adventure is only one part of traveling to this area. In Chile, the biggest draw is the capital city of Santiago. Set only 125 kilometers to the west lies the Pacific Ocean, where luxury replaces adventure. You can rejuvenate by the ocean, experience plentiful boardwalks, stay in modern condominiums with Italian-like settings, and, of course, let your taste buds enjoy the gourmet meals at the waterfront restaurants. In some places along the coast, you will see the mountain range — a perfect scene for the sunset. From the coastal cities dating from the 1800s with historic palaces to newly furnished condominiums, you will surely find your luxury spot in Chile’s Pacific Coast. 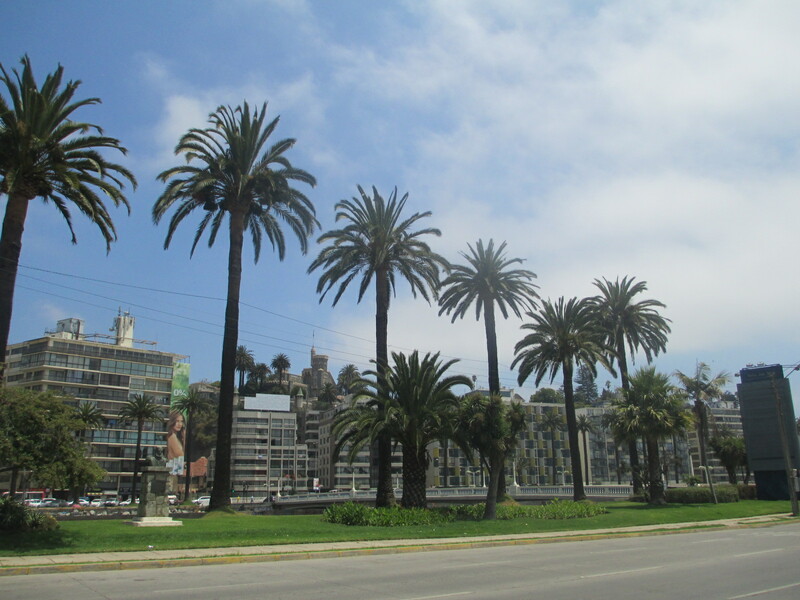 There are quite a few luxurious neighborhoods to choose from for your stay in Chile’s Pacific coast. 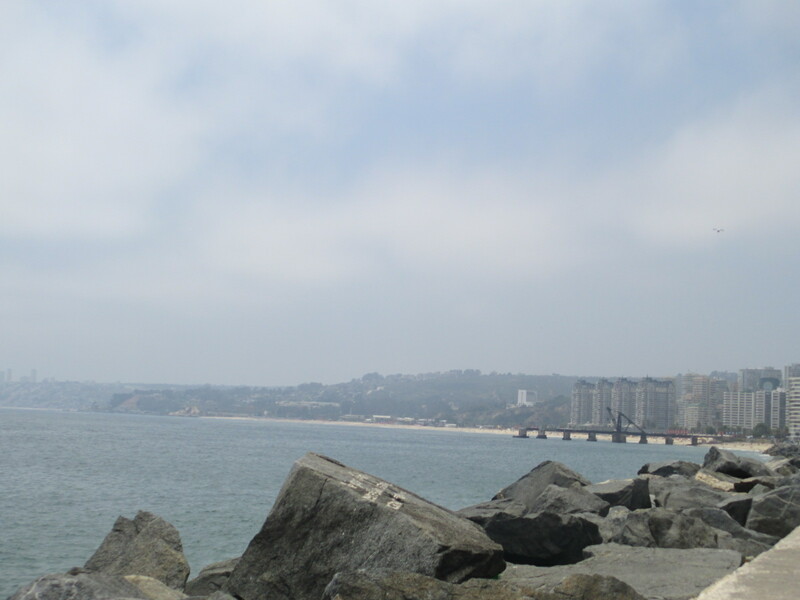 My first arrival was in Viña del Mar (“Vineyard by the Sea”), a coastal city located in the northwest area. It is Chile’s fourth largest city, but while you are there, you will not think so. The majority of people residing here work in the center of the city, about a 45-minute walk from the beach. 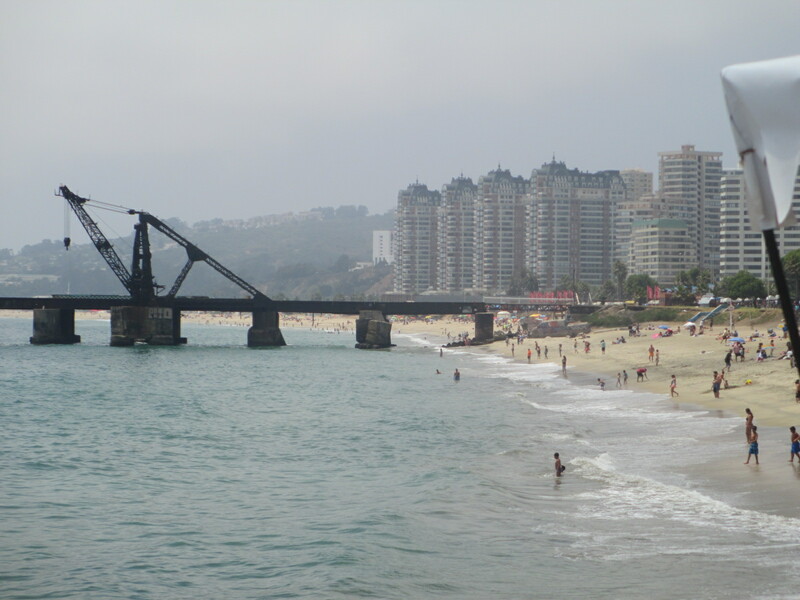 The beaches in Viña del Mar are laid back and the waves hit the shore gently. The boulevards are lined with condominiums; palm trees, cafes and restaurants are spread out and the crowd never gets to be “too much.” The Enjoy del Mar restaurant offers panoramic views of the Pacific Coast along various margaritas or sunset drink of your choice. One of the wonderful sightings in Viña del Mar is the arrangement of sand sculptures by the beach. 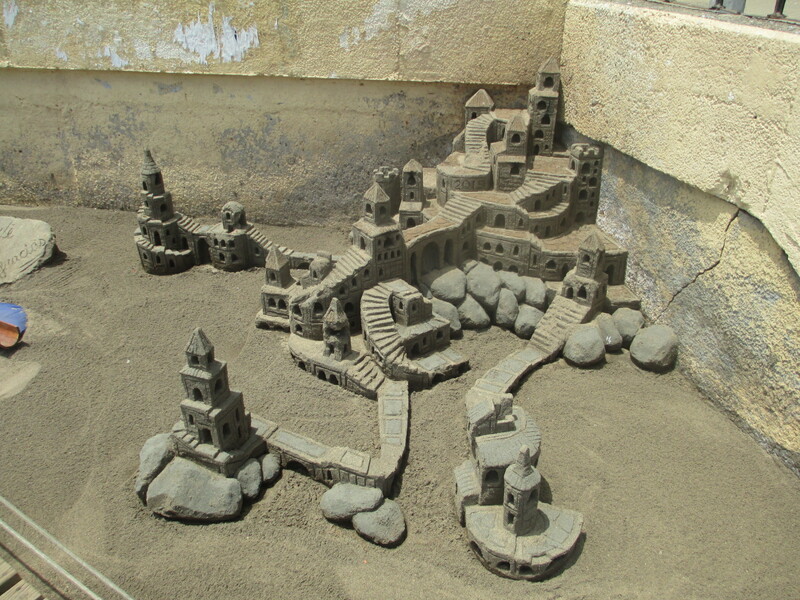 The so called “Sand Masters” make different creations from the sand, open to anyone who is passing by. One day it might be a palace like one you might see in Game of Thrones, another day it might be a mermaid. Some of the locals reports that the Simpsons are a favorite of the Sand Masters. 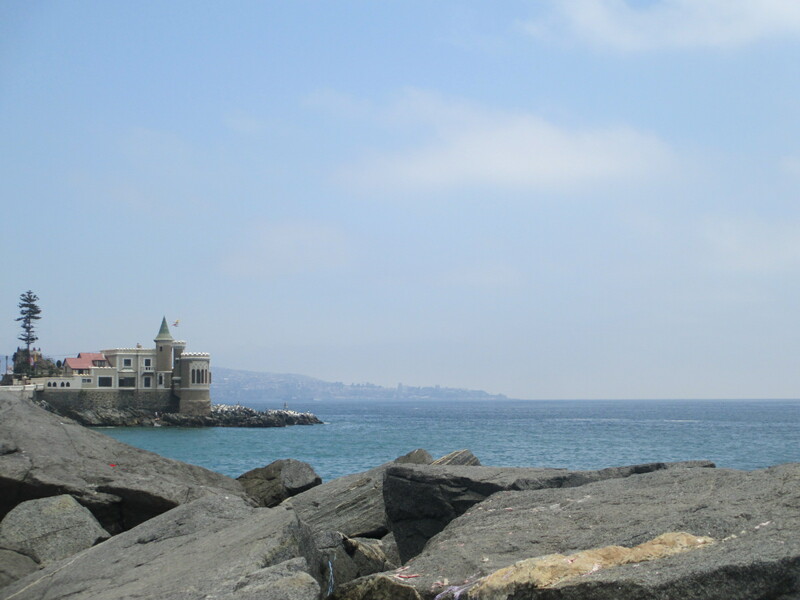 Viña del Mar will never get too busy, even when many Chileans come to spend a day at the beach. The Humboldt current from Antarctica keeps the ocean cool, but it is always nice to take a dip as the temperatures rise into the 90 degrees Farenheit during the summer months (December-March). Stay at the Hotel del Mar, which is walking distance to the beach and includes an onsite casino. It is secluded all 360 degrees around and has a view of the canal. Look into an apartment rental and maybe you will end up in a castle of your own. 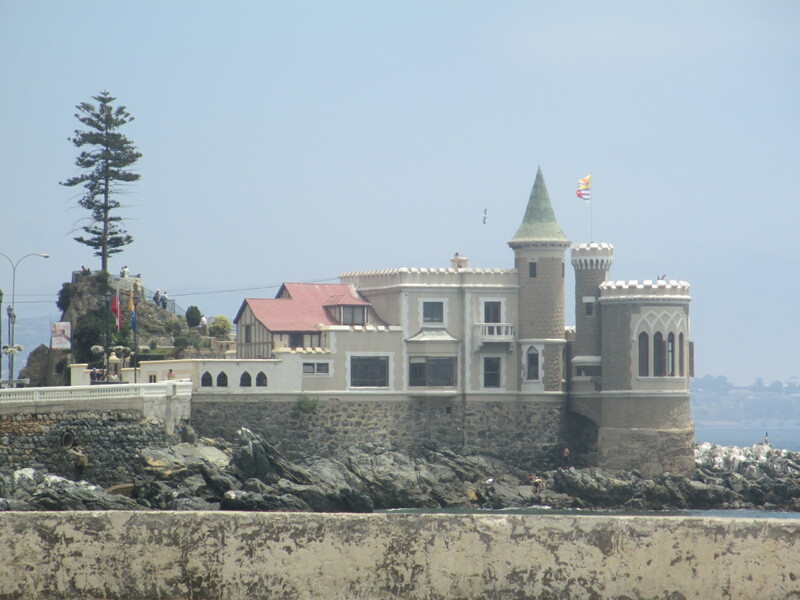 Valparaíso is located just south of Viña del Mar, so luxury seekers who want to step out of their surroundings can take a walk down to Valparaíso as well. Old Town is in the center of this city where bustling businesses call to travelers. The seaport, also known as the “Historic Quarter” is designated as a UNESCO Heritage Site. Not only can you experience the history and art with your own eyes, but also order the lobster, the “Chilean Jagged Lobster”. There is not much else to see or do in Valparaíso, which is perfect for anyone wanting a serene, quiet escape. The ocean continues on south with more mansions to see, some of which unfortunately may be crumbling since they are so aged. Find a hillside, set a picnic and enjoy your private time alone or with your significant other. Stay at the Gran Hotel Gervasoni, which will remind you of an Italian villa at sea. The Hotel Palacio Astoreca offers a fireplace in the lobby to sit by or terraces for privacy. One of the best gems off Chile’s Pacific Coast is Algarrobo and the San Alfonso del Mar resort. The resort has the world’s biggest outdoor swimming pool located right on the beach. A reservation is necessary. Options range from a two-bedroom (the smallest) to a five-bedroom apartment. Their outdoor spa and Crystal Lagoons are added attractions. Algarrobo is also perfectly located for windsurfing. Not wanting to get wet at all during your stay? You can watch from your balcony as others put on their wet-suits and venture off into the ocean. If you are exploring, rent a car so you can drive up and down the Pacific Coast. It may resemble California at times and the Pacific Coast Highway, but with a Latino vibe. Choosing which retreat you want to take is only one decision, and choosing which beach to stay on is another. Wherever you stay along Chile’s Pacific Coast, you will find your luxurious escape.